Recently, as a reslut of reading The Fatal Flaw of the Theology Behind Infant Baptism by Jeffrey D. Johnson, I have become more interested in studying the idea that the Mosaic Covenant was in some sense a republication of the Covenant of Works. And I have become especially interested in reading more from John Owen on the issue. In the process, I have found some helpful information at Brandon Adam's Contrast blog, particularly his post on John Owen's contribution to the discussion and his a Collapsible Outline of Owen on Hebrews 8:6-13. For a good, brief introduction to the doctrine of republication, check out the three part series by R. Scott Clark over at the Heidelblog: Part One, Part Two, Part Three. Many of you may already be familiar with the story of James White's history with Ergun Caner. And you may even be familiar with the above video from James White concerning Caner, a video posted back in February. Well, since that video was posted, things have heated up for Caner, and I have tried to bring together a few helpful and informative sources of information in this post documenting the developing scandal. On May 3 Christianity Today posted an article entitled Bloggers Target Seminary President with the story description reading, "Liberty's Ergun Caner accused of false statements in his testimony about converting from Islam." The article chronicles the way in which various blogs began to pick up on the many inconsistencies in Caner's description of his past and his conversion and early Christian life. Liberty University Provost Dr. Ron Godwin is forming a committee to investigate a series of accusations against Ergun Caner, president of Liberty Baptist Theological Seminary. Yesterday, May 17, Religion News Blog posted an article entitled Christian leader Ergun Caner faces questions about Muslim past. This article includes the above video by James White and is itself derived from an Associated Press article by Tom Breen. Much attention has been paid both to Caner's sub-standard apology and to the comments of Dr. Towns in the Christianity Today story. I believe, though, that the real story is in the other statement above - the euphemistic characterization of "exaggeration" as "ministerially speaking." This statement appears without citation; I do not know whether it is traceable to anyone at Liberty. It does not matter, for it is an entirely true statement. What Caner appears to have done is nothing other than what is common among preachers: he has exaggerated, embellished, and perhaps even fabricated the stories about himself which form the backbone of his sermons. That is where our attention ought to be. Liberty University has misjudged the severity of the scandal, but they have done so because it fails to appear scandalous to Christians who have become comfortable with the idea that preachers regularly tell fibs in the pulpit. The train of thought which has led to this sad state of affairs is wholly indefensible but easily described. First, we have become convinced that listeners will be more interested in entertaining stories than they will in the truth of the gospel. Sermons are therefore more illustration than exposition. Furthermore, we have accepted the proposition that preachers must be personable and relatable if they would reach anyone. Consequently they tell an inordinate number of stories about themselves. Finally, in the pragmatic culture of American Evangelicalism we seem willing to overlook any ethically questionable practice so long as a preacher can hold the attention of the congregation. As a result, when preachers tell untruthful stories we cannot think of them as "lies," but merely as "ministerial speech." This is a scandalous state of affairs, and one in which the emergence of an Ergun Caner was inevitable. We tried to create a form of preaching that would be gripping and convicting, but instead we have created a tradition which is laughable. Our antics have done great damage to the cause of the gospel. Do we really expect that unsaved persons are going to be impressed by preaching laced with lies and half-truths? Do we have no respect at all for our neighbors? May God show His grace to Ergun Caner, and may He guard us from the same error! After a thorough and exhaustive review of Dr. Ergun Caner’s public statements, a committee consisting of four members of Liberty University’s Board of Trustees has concluded that Dr. Caner has made factual statements that are self-contradictory. However, the committee found no evidence to suggest that Dr. Caner was not a Muslim who converted to Christianity as a teenager, but, instead, found discrepancies related to matters such as dates, names and places of residence. Dr. Caner has cooperated with the board committee and has apologized for the discrepancies and misstatements that led to this review. Dr. Caner’s current contractual term as Dean of Liberty Baptist Theological Seminary expires on June, 30, 2010. Dr. Caner will no longer serve as Dean of Liberty Baptist Theological Seminary. The university has offered, and Dr. Caner has accepted, an employment contract for the 2010-2011 academic year. Dr. Caner will remain on the faculty of Liberty Baptist Theological Seminary as a professor. As I read this I couldn't help wondering how "factual statements" could be "self contradictory" and still be "factual" and why such contradictions that have been consistently asserted for years are then referred to as "misstatements" rather than lies. And I couldn't help wondering why, if such things are just innocent "misstatements," Ergun Caner has been demoted and will no longer serve as the Dean of Liberty Baptist Theological Seminary? It sure looks bad to me. It looks to me like they found that he did lie for years and are too embarrassed by it to admit it publicly. Apparently they are just hoping it will go away, but in my opinion their own apparent efforts to sweep things under the rug just makes them look as bad as Caner himself in all of this. James White posted this video back in September, but I didn't see it until today. 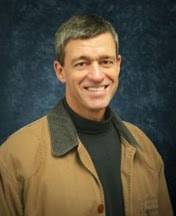 I was struck - in a good way - by this interview with Paul Washer. I really appreciate what he had to say and the sincerity with which I believe he said it. As usual, MacArthur delivers an important message for us all! The text for the message is Luke 12 and 13. Longtime readers of the blog may recall a previous post entitled The Three Best Books in Defense of Believer's Baptism. Well, now The Fatal Flaw of the Theology Behind Infant Baptism by Jeffrey D. Johnson will top that list. In fact, together with Fred Malone's book The Baptism of Disciples Alone: A Covenantal Argument for Credobaptism Versus Paedobaptism, I am not sure a Reformed Baptist needs another work in his library on this subject. Both the Mosaic and the new covenant were birthed out of the Abrahamic Covenant. The Abrahamic Covenant was established between Abraham and his seed. The Mosaic Covenant was issued with the nation of Israel, which was Abraham's natural seed. The new covenant, on the other hand, was made with Christ and those who are in union with Him. Thus, the old covenant was issued with Abraham's natural seed, while the new covenant was issued with Abraham's spiritual seed. I agree and am so thankful that Jesus met the demands of the covenant of works so that I might be included in the covenant of grace. Aren't you? This is an excellent and outstanding work, which deals with the subject from the ground up—one of the best, if not the best, I have ever seen! Jeffrey deals with all the aspects of the subject and in the logical order of their development in the subject area. He presents his position clearly with solid and sound exegesis and clear discussion and argumentation. Thus, he makes a definite and strong contribution to the subject matter of the day concerning the ongoing debate between continuity and discontinuity of the Divine covenants. Jeffrey Johnson has produced a thorough, vigorous, and impressive interaction with covenant theology as it is used in support of infant baptism. He has given detailed analysis of each part of the system, approved what was biblically warranted, challenged what is indefensibly contrived and offered compelling alternatives to each part of the system that he has challenged. He has not left it at that point but has offered an alternate interpretation of the relationship between the covenants. I add my own voice to those of these men, and I would recommend the book not only for its excellent handling of the debate concerning baptism but also as a good introduction to a Baptist understanding of Covenant Theology. Richbarry Press, c/o Dr. Richard P. Belcher, 105 River Wood Drive, Fort Mill, SC.